Here comes the sun, little darling! And with it, live music outdoors. I was lucky enough to have the opportunity to spend last Friday, a great British Summer afternoon, at Hyde Park listening to The Strokes, Beck and Future Islands among other bands. Not that I am a great fan, but the combination of friends, live music, nice weather, drinks… and… festival/gig outfits will never let you down! I have to say I spent some time taking pictures of the people and even the stage set. It’s been loooong! Yes, I know. It might have felt as I was bored of writing. NOT AT ALL! I’ve been thinking of writing many times, but not being able to find the time to do it. But guys, after this long silence, here I am. I’ve got many things to share. I’m back with a DIY. I don’t remember the last time I shared one, but it is not rare that I do my sort of DIYs quite often. At the end of the day, fixing or recycling something it’s an art I like to practice. 1. Get a sweatsuit or hoodie. 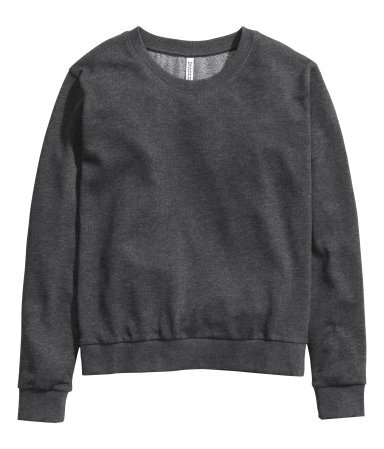 I chose this one from H&M, cause it was plain and cheap.